PRI MENA was interviewed today by BBC Arabic reporter, Imad Rawashdeh, on the launch of the ‘Rehabilitation and After-care of prisoners’ program which was recently launched in two rehabilitation centres in Jordan. PRI MENA signed a memorandum of cooperation on August 29, 2013 with the Sisterhood Is Global Institute, SIGI – Amman, for the Rehabilitation and Aftercare of prisoners in the correctional centres. PRI’s Research and Communication Manager, Mr. Shibli, said that one of the first requirements for an offender who is released from prison is to obtain a job. Having a criminal record usually makes it more difficult for an ex-offender to find a job. He also added that PRI is now implementing a unique project for the aftercare of prisoners on release with the aim of facilitating their reintegration into society. It provides assistance to obtain employment, or establish small projects, or vocational training to enhance their skills to start their new life and achieve financial independence and prevent crime re-occurrence. 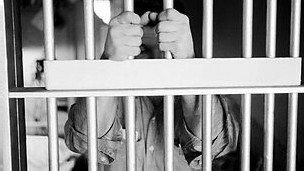 A minimum waiting period also must be met; during which establishing proof of rehabilitation allows an ex-offender to have occupational disqualifications lifted and also may provide incentive to become a law-abiding and productive citizen. Mr. Shibli stressed on that the success of the project depends on the cooperation of all related parties and especially society.